If you are anything like me, food plays an important part in your vacation planning- and not necessarily for gluttonous reasons. Tasting local dishes is about so much more than happy taste buds. It is a valuable opportunity to immerse yourself in the culture and traditions of your destination. Those who have visited Israel during one of our Israel tours, know that fabulous cuisine can be found around every corner. But for first timers who are planning a trip to Israel, we have compiled a list of the top 10 dishes that you must try before leaving the country. My mouth is watering just thinking about it! Dairy plays a major role in Israeli cuisine. To keep kosher, meat is excluded from breakfast and dairy products provide most of the meal’s protein instead. If dining at an Israeli breakfast buffet, you will find a vast variety of cheese options. Lactose intolerant diners beware! Those who are able to eat dairy will quickly realize that the options are seemingly endless with a wide range of flavors and textures to choose form. Some of the most popular options are Israeli Cottage Cheese, a salted cheese known as zefatit, a rich yogurt-cream cheese type blend called gvina levana or “white cheese”, and feta. I encourage anyone planning a trip to Israel to sample each item on this list. 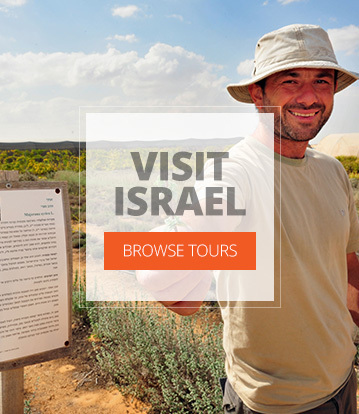 Not only are they all a delight to the palate, they will bring you closer to the culture and people of Holy Land. My apologies if you are suddenly hungry!